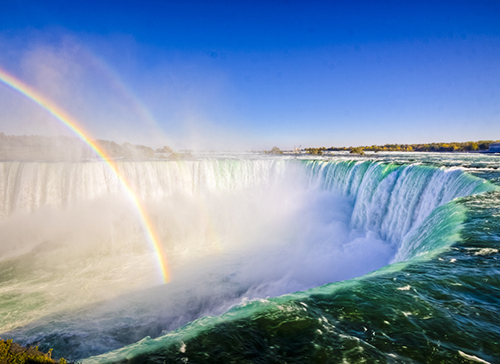 Summer is the perfect opportunity to take a day off and explore what Ontario, Canada has to offer. Whether you're into wine tours or canoe trips, here are some romantic getaways that are sure to bring you and your partner closer together. 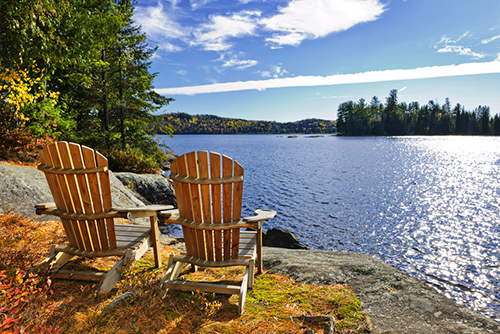 Relax in one of the most celebrated cottaging areas in Ontario, possibly North America. It's the summer home to the rich and famous, but there are several public access beaches and marinas for everyone to enjoy. If it's in your budget, stay a couple nights at a resort to take in the summer energy in Muskoka and have some fun out on the water. 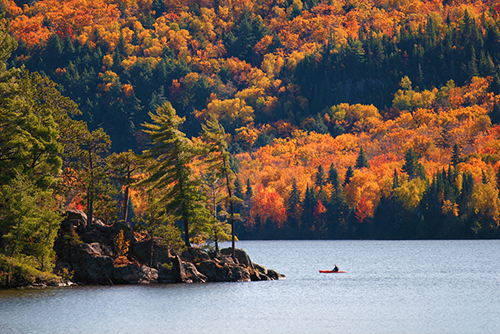 Algonquin Provincial Park is the oldest, and the most popular provincial park. 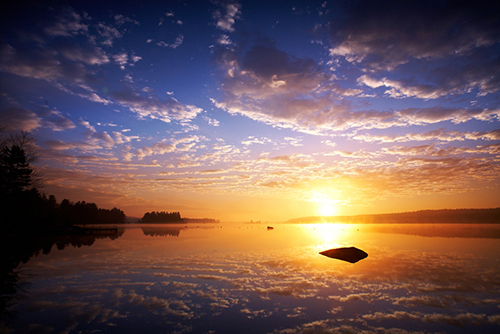 With over 2,400 lakes, it is the perfect place for camping. Take a break from technology and bask in the beauty of the park, which inspired artist Tom Thomson, who tragically died there in a canoe. The park is known for its trails and canoe routes, which allow the guest to see uninhabited wildlife. At night, cuddle up by the campfire and look up at the stars, it's likely you will see the entire sky alight. 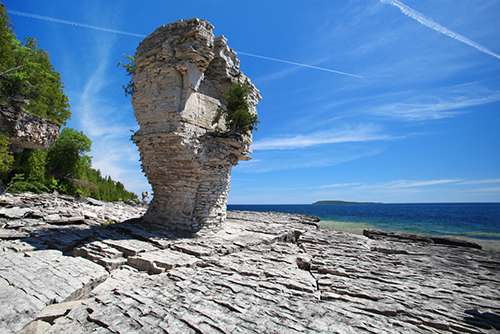 This natural landmark surrounded by crystal waters looks more like the Caribbean than southwestern Ontario. On the eastern shore, two high sea stacks are fascinating, but you can also explore the grotto and caves. You can also spend the day hiking on the island, or discovering shipwrecks. Perfect for adventurers, Parks Canada even offers bus shuttles if you don't have a car. If you're looking for a cottage destination, but looking for a more laid back (and less expensive) vibe, the Kawarthas are perfect. Only a couple hours northeast of Toronto (and thankfully not on the 400), the region has dozens of large lakes complete with resorts. If you're into decorating, visit Lakefield, Fenelon Falls or Bobcaygeon to go antique hunting. In Bancroft, a.k.a. the mineral capital of Canada, you can relax at Grail Springs Spa (celebrities like Jim Carrey have stayed there), or drive up to Eagle's Nest for a breathtaking view. Before you come home, be sure to stop for some Kawartha Dairy ice cream, a delicious treat on a hot summer day. 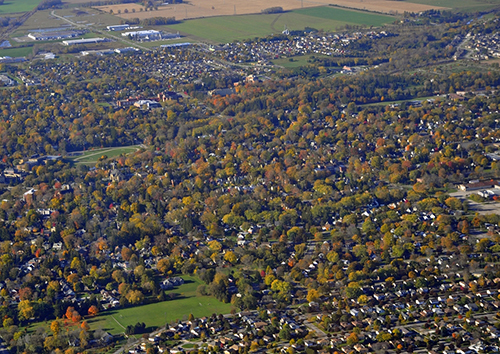 Avoid the hustle and bustle of the casinos and tourist traps along the main strip and relax in peaceful Niagara-on-the-lake. Packed with antique and gift shops, as well as cute cafes and bistros, this is the perfect daytrip. If you want to spend the night, The Prince of Wales hotel is a classic Victorian house that has hosted the Duke and Duchess of York in 1901. Wine tours are a must in this region, and many offer bus shuttles or tours if you plan on enjoying a bottle. You can even BYOB -- bring your own bike that is. Cruising through grapevines would be the perfect way to celebrate an anniversary, and Niagara is a perfect destination for foodies and wine lovers. Whether you catch one of the plays at the Shakespeare festival or not, this town is a destination of the arts and will enchant you with little shops, restaurants and parks. The Church Restaurant is a converted church featuring dramatic cathedral ceilings and French cuisine. The town is also home to Justin Bieber, so avoid these places to dodge the tween crowd on Bieber tours (unless you're into that!). Theatre is at the heart of this town's tourism and history, with the largest classic repertory theatre in North America. Take in a show or hit up a local theatre or club for emerging talent. Stratford is a short drive from Toronto or London and is perfect for the artsy couple.